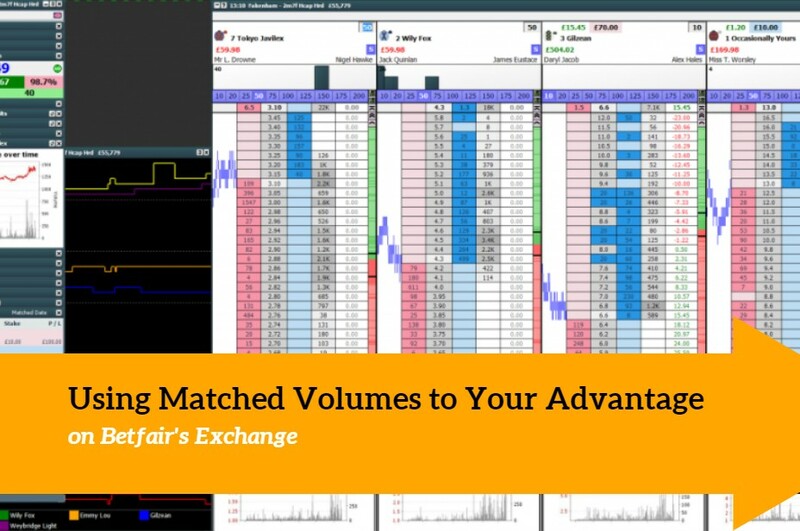 Matched volumes are one of the most significant influencing factors when trading the horse-racing markets pre-race. To ignore it, you’d be foolish. 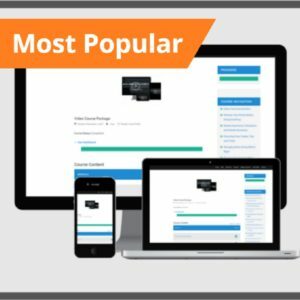 So let’s have a look at what matched volume is, why it matters, and how you can look at using it to your advantage. 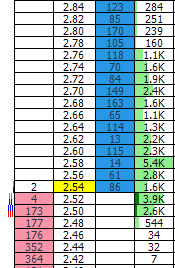 Matched volume on Betfair’s exchange is a very simple metric. There’s nothing particularly fancy or confusing about it. It is simply the amount of money that is matched within the Betfair exchange markets, on any one price market. If you’re using the website you’ll need to click the little icon next to your selected runner. However if you’re using a trading software such as Geeks Toy or Bet Angel, it will be listed separately on the ladder interface (as seen). So when a betting market first opens, there is zero pounds matched. This is because nobody has actually placed any bets yet.As money begins to flow into the market, you’ll start to see the trading volumes build up. If I was to place a £10 back bet at 2.0, and somebody else was to log in to the betting exchange and lay my £10 back bet at 2.0, there would be two bets matched (£10 each). This means the total volume matched will be £20 at 2.0. On average UK horse races match around about £500,000. Some of the weaker races will only see £100,000. Whereas the big events, like Cheltenham and Ascot will see races go into the millions. Matched volumes entering the betting market is the purest live feed of information you will get. It shows how popular a betting market is, where the peak periods of activity are, and in many cases, highlights where we can exploit the markets for a profit. Also it can express other characteristics, such as market volatility. Assuming it was the final few minutes of a racing market, and a horse has only had a couple of thousand pounds matched – it’s likely that there is very little interest on this horse. Increasing the chances of market volatility. A notable characteristic to incorporate with your approach. Whereas on the other end of the spectrum, if there is hundreds of thousands of pounds matched on your chosen selection – the price action is likely to be more smooth and fluid. It’s a popular choice. 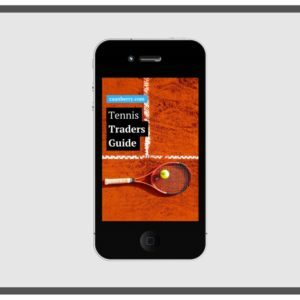 If you’ve seen these other articles about swing trading and scalping, this can show you how market volume is an identifier for trading style. I should add, though, these are just generalisations – each betting market is unique. We’re just looking to play the odds over an extended period. In most cases I prefer paying attention to the matched volumes because it is what I would call hard data. Hard in the sense that people have willingly matched money around an overall opinion, unlike much of the ‘hear say’ you’ll see others considering. The more solid information we have, the better! 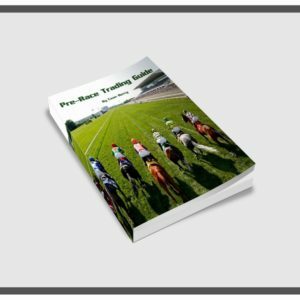 You may have heard professional traders complaining about overlaps in racing and lack of information when trading the morning to afternoon markets. This is because there is significantly less matched volume in the mornings and when another race is still running. After all, who’s betting on a race when they are still watching the last one in it’s place? Very few. Just have a look at the market data! As you may expect, the more data (matched volume) there is – the more efficient a market becomes. It’s why Betfair SP is so efficient. The trick is to successfully interpret changes in the market before the rest of the world has latched on… as Jesse Livermore once said; the best part of a trade is the middle six eighths of any potential move. Why? Because the move is already in motion, the data is hard so to speak and the risk is limited – yet everyone else hasn’t taken up that value just yet. Hi Caan. Nice article. Can you let me know how to get the most recent matched money indicator. (The darker green within the lighter green indicator ). I can’t for the life of me find it in the settings. Thanks. Ashley. Hi Ashley, if you’re on the most recent version just right click the ladder and its in the menu. If not, make sure you upgrade the version! Yes, but you would need to pay for BF data.